The Doylestown Duathlon was started in 2009 by Johnny King-Marino. The event was a throw back to the golden age of Duathlon back in the 80′s and 90′s when stand alone duathlons would draw one thousand or more participants. The goal was to produce a premier regional event. For the first two years this race was the regional Duathlon Championship, drawing the top multi sport athletes in the area. The event would be held early in the multisport season to capitalize on the needs of the multisport athlete to test their conditioning before the waters were warm enough to swim. In 2012 former Duathlon World Champion and local pro triathlete Todd Wiley took over the race from King-Marino as Race Director. In 2013 we decided to change the name from the Doylestown Duathlon to the Delaware Valley Duathlon to hopefully give the race a more regional feel. 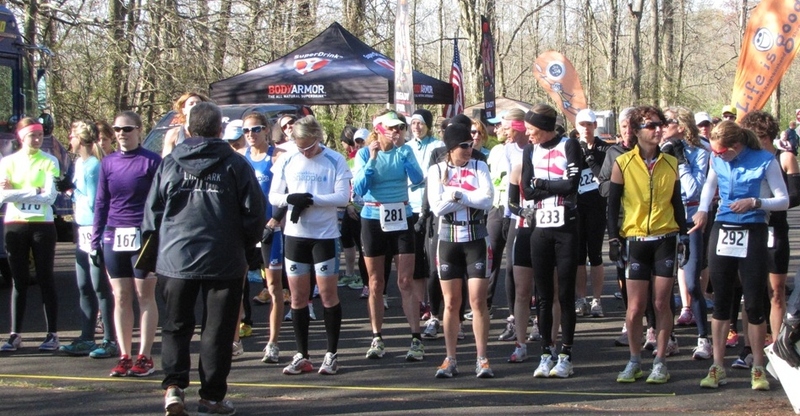 This race is a great way to start your season and see where your training and fitness is. The course is perfect for all abilities and will give you a true test on the rolling course.